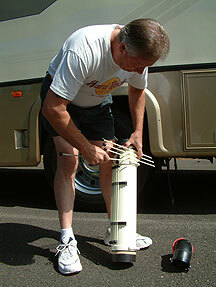 with Motorhomes, 5th-Wheelers, Trailers and Campers. to handle and no more aggravation! 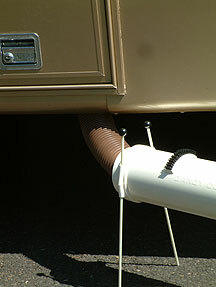 the internal hose to your RV. 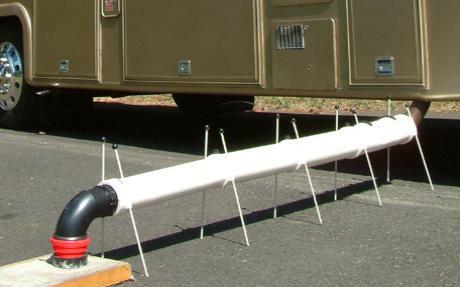 place into sewer inlet. Adjust leg height as needed for gravitational feed.